Jeep Wrangler (YJ) (1987-1993) w/ Dana 30 Front Axle; without Slinger. Jeep Cherokee (XJ) (1984-1987) w/ Dana 30 Front Axle; without Slinger. Jeep Cherokee (XJ) (1986-1992) w/ Dana 44 Rear Axle; w/ Standard Differential. 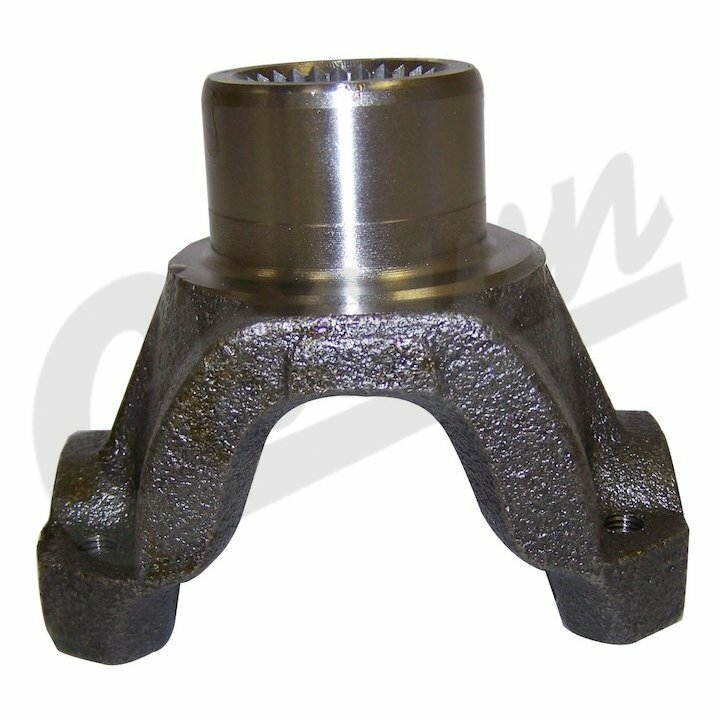 Jeep Cherokee (XJ) (1986-1990) w/ Dana 44 Rear Axle; w/ Trac-Lok Differential. Jeep Comanche (MJ) (1984-1987) w/ Dana 30 Front Axle; without Slinger. Jeep Comanche (MJ) (1986-1992) w/ Dana 44 Rear Axle; w/ Standard Differential. Jeep Comanche (MJ) (1986-1990) w/ Dana 44 Rear Axle; w/ Trac-Lok Differential. Jeep CJ (1981-1986) w/ Dana 30 Front Axle. Jeep CJ (1969-1975) w/ Dana 44 Rear Axle. Jeep CJ (1986) w/ Dana 44 Rear Axle. Jeep CJ (1980-1986) w/ Dana 300 Transfer Case; Front or Rear Output. Uses Strap & Bolt; No Slinger; Uses a Spicer 1310 Series (3.219″ O.D.) Universal Joint.